Update: This list has been discontinued. How did you create the list? To start, we drew upon our top UK internet blogs lists from past years then asked an array of UK based internet marketers to nominate their favorite blogs and bloggers that cover search engine optimization, content marketing, search engine marketing, social media and other online marketing practices. How do you define “online marketing”? To develop this list, we defined online marketing as the practice of using digital channels to attract and acquire customers. The bloggers selected for the list write consistently about topics such as search engine marketing and optimization, social media marketing, content marketing, online public relations and similar topics. How can I be included on this list? The only way to be included on this list is to be based in the UK, write and share original content about online marketing. Your relevancy to the topic is most important. We also look at metrics to determine the size of your audience and their level of engagement with your content. Also a HUGE THANKS goes to Evy Wilkins from Traackr for all her hard work to make this new list template happen. Inevitably, there are people that our readers feel should be included in the lists we publish. You can share your suggestions of course, but publishing content on social networks and on blogs on a regular basis is really the best way to make it into the consideration set. 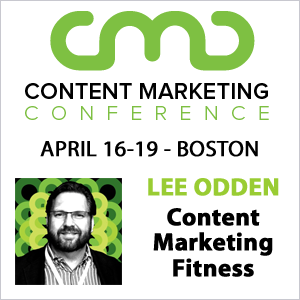 Develop a framework for creative and efficient content creation. Find resources and ideas where others cannot. Leverage a mix of evergreen, repurposed, curated, and co-created content for better marketing results. Apply SEO and social media optimization principles to amplify content reach and engagement. Wow! Thank you! 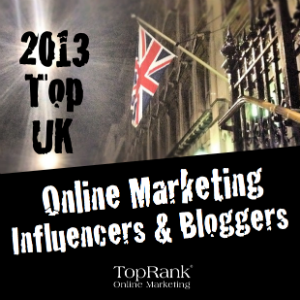 Great to be included in and amongst some highly respected marketers. Thanks Sam – I agree, some great resources here. Wow – just been advised about this post and listing. Thanks so much for considering me and thanks to the people that had a hand in it. A great list of people – most of whom I check out regularly and inspire me on a near daily basis too. http://www.marketingassassin.co.uk is going to be massive in 2013 after a book writing sojourn! 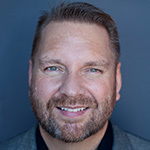 great list @leeodden:disqus thanks for reaching out to ask my opinion. The only thing I’d love to see is in addition to the Twitter, Facebook and LinkedIn profiles I’d love to see the Google+ profiles for the list too. I know some are quite active over on Google+ (Bob Barker for example) and it helps round out the consumption of their content. Hi Jim, Evy here from Traackr. We can definitely pull the Google+ profiles in. Will work on that shortly. Wow, thank you. What company to be in. Amazed to have made it in this year, particularly considering that I spent a great deal of the first part of the year hiding under a baby and book-shaped rock! Hope to live up to the accolade in 2013. Kudos for the juggling act! Now there’s a list and a half! Don’t think there are any surprises there though? Indeed. Actually, more than half of the people on this list are different than what we’ve posted in the past. Thanks Lee and TopRank team, honoured to be included among such great company. Thank you for including me. I’ll say it like a true Brit… I’m chuffed to bits :). It’s great to see Bryony Thomas, Lilach Bullock (client) and Mike Lowndes (friend) as well on the list. I have to say, I hadn’t heard “chuffed” before today but it sounds like a good thing 🙂 Cheers Sarah. Good to see our own David Moth on there, as well as several Econsultancy guest bloggers. I’d nominate Kevin Gibbons too, as well as James Carson and Kelvin Newman, who have written some excellent posts for us lately. Great suggestions Graham. The cool thing about this list is that getting in isn’t up to us as it is up to the people who are publishing and sharing great online marketing content. Traackr picks up on that. Lists are fun aren’t they? Especially when they’re useful. So excited for Alicia Cowen and Tamara Baranova to be included here! Go ladies! Thanks Katya! So pleased to be included. A truly fab resource! Don’t tell me, all the judges were men??!! Love hearing about us in the UK. Well done to all involved. I hope to have my brand /blog featured next year! Thanks Lee/Top Rank, it’s great to be named amongst some great UK bloggers. It seems to have updated quite a lot since I first looked at it this morning. Was that a launch day manual adjustment thing or the algorithm at work already? I’m loving the fact it will keep updating, rewards the people who are putting the effort in!! Hey Matthew, it will update weekly. Thanks for publishing and it’s highly flattering to be included amongst such well known and respected industry voices. The challenge is on to get above 24 for next year!!!! Keep publishing and sharing great online marketing content James and it might be a lot sooner. Thanks for the heads up Bryony. I’ve shared with Traackr to see about a fix. Thanks Andy, see you soon. Hi Kevin, this the link associations with each person are dynamically created based on the Traackr system. However, we have inquiries into Traackr to see if it’s possible to make more permanent associations between individuals and the blogs they write for. I’m sure there’s some downside to this as people come and go with blogs, but we’ll see. This is some interesting and useful information offered here. I am glad I came across this list and it is great to know that Rishi Lakhani too is included in the list of top online marketers. I would like to congratulate everyone here. Indeed it is Hayden, cheers to you for being a great online marketing information source. We’ll be refreshing this list on an ongoing basis – likely once each month. Excellent stuff. Good job putting everything thing in one platform. Thanks you for sharing. good stuff!! i hope giant of internet marketing is brought under one post. Thanks for sharing. Good job, thank for sharing this. Hi Lee Big Hugs for including me in your list – I’m really honoured. Thanks for my mention at 31! Hi Alice, I’m glad you noticed. This list is algorithmically sourced and sorted by our friends at Traackr. We can ping @mainwilk (Evy Wilkins from Traackr to take a look.